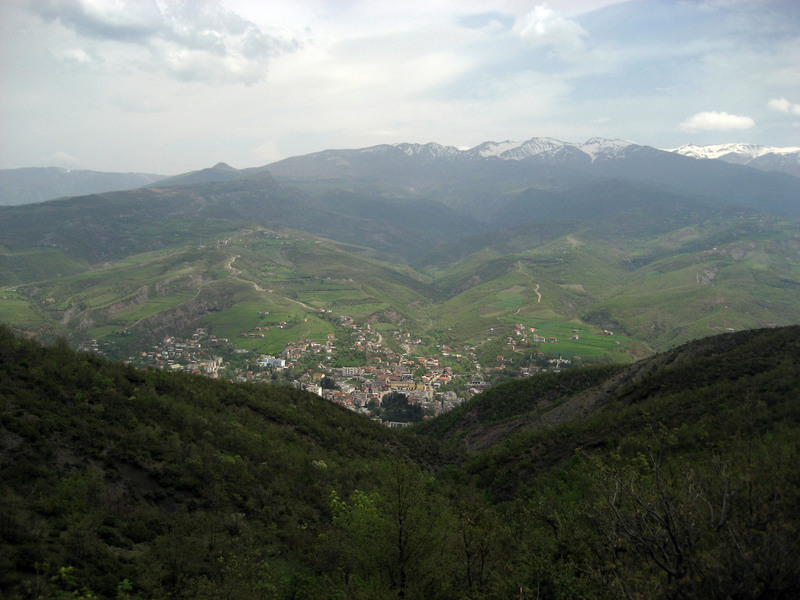 Last weekend a group of us from Bishqem and a few of the other small training sites west of Elbasan in the foothills traveled to the one training site east of the city in the mountains, Librazhd. The trainees in Librazhd are a little spoiled in my opinion. First of all, unlike rural Bishqem, Librazhd is actually a city of about 12,000 people. There are actual stores and banks in this town. Secondly, the mountains surrounding on all sides are gorgeous. 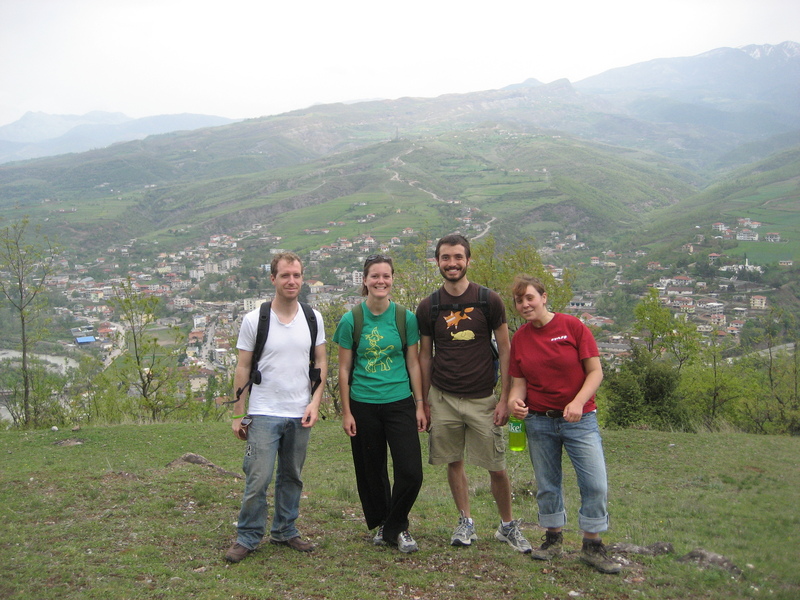 A group of five of us hiked up along a few ridges up over the town for the better part of the day. We climbed a good ways up above the city and could almost glimpse a peak in nearby Macedonia. This is such a small country! And, because we were close to the border, there were tons of bunkers left over from the communist era. 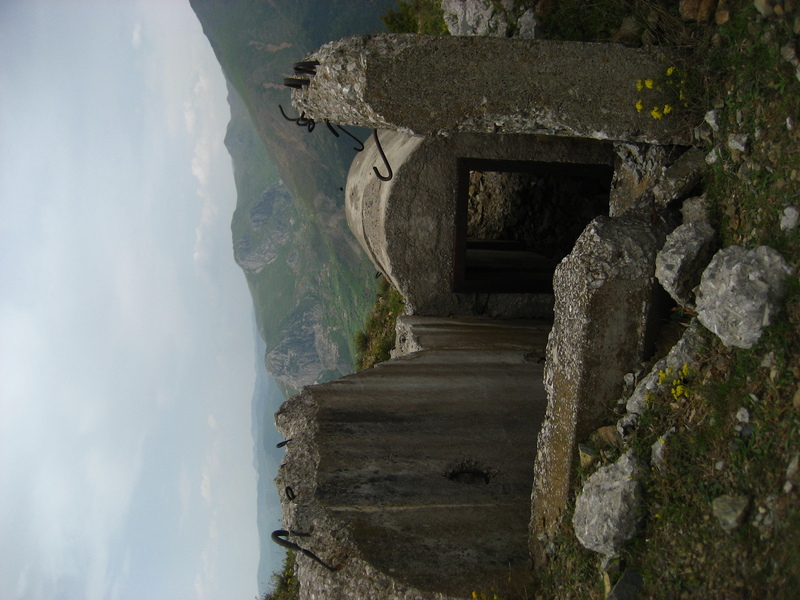 Supposedly enough bunkers were built during the 1960s and 70s so that the entire population of Albania could be inside them. All that preparation for an invasion that never came. These bunkers are everything from a small cement shelter to a tunnel built into the mountain to store tanks. Though they are pretty ugly, on a hike in the hills they are open and ready for exploring. In the usa they would be blocked up and off limits in no time, while here they are almost like public shelters – often full of sheep poo from farmers who bring their animals up the hills. The large ones near Bishqem are closer into town and now function as barns, garages and storage facilities. Something I hope to get more involved with here is the mapping of trails in Albania. A few other pcvs have started a website called bunkertrails.com and are starting to upload good hiking trails via GPS. Tourism development is one of Albania’s huge opportunity areas and one that I will most likely be working in quite a bit. What an adventure! It is beautiful, beautiful place! I have also noted the surprising disparity in the culture and have a couple of pictures myself of an ox-cart parked next to a Mercedes… For the record, oxen do NOT like to have their pictures taken! !